Magic is possible when we learn how to live by choice and n0t by chance. NLP™ is about learning how to think in new ways more clearly, communicate more effectively, and see greater outcomes so you can venture beyond solutions, where the real magic begins. NLP™ Practitioner Training teaches you how to run your own neurology for optimal, intentional, and fulfilling results to get full control over your thoughts to build useful beliefs and to change limitations into creative solutions almost effortlessly. Once you have learned the NLP™ skills, tools and techniques, and have developed the NLP™ attitude, methodology and technology, you will want to apply NLP™ immediately in every context to be the ultimate influencer and elite performer in your chosen profession, in your relationships, and in every area of your life. Do what people who lead a happy and satisfying life do. NLP™ – Enroll now. You experience and use personal practice in anchoring happy states, experiencing confidence and courage, and learn effective rapport building and goal setting. You engage in modeling excellence, learning to lead others into better states of being, discover how to make better decisions quickly, and ultimately feel at ease in an situation. ” What NLP™ and Pam did for me is pull back the curtain to LIFE. Pam showed me in so many ways I didn’t have to be a victim of my life and that I didn’t have to let life happen to me. Using the NLP™ techniques I have been able to see everything with a new perspective and actually started making my life what I want it to be. How POWERFUL and LIBERATING is that? 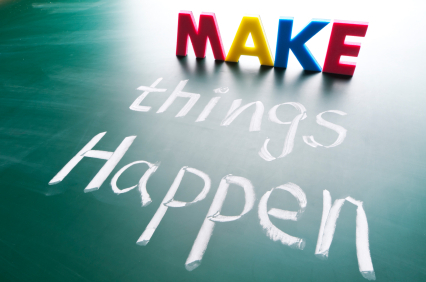 Take NLP™ with Pam, she will completely amaze you and your mind and life will never be the same, if you choose! Do this for yourself NOW!” — Monica A. A recent evaluation form response about what was most useful: “The hands-on, experiential method of learning and the instructor’s [Pam’s] flexibility via excellent calibrating and proficient ability to practice what she teaches.” — Justin R.
Today, one of my NLP graduates told me about the goal and dream that has come true for her, just 18 months after her first NLP Training here at Clarity Institute. 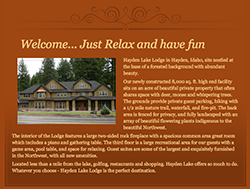 She’s now the proud owner of: Hayden Lake Lodge, in Coeur d’Alene, Idaho. It’s a beautiful Bread & Breakfast, that Teresa Ford will be at the helm of, as this beautiful property flourishes and nourishes as a healing space with programs designed to help others with personal and professional transformations, inner explorations and healing at the mind, body & spirit levels.